Right now websites are under siege from hackers, who want to use your websites for blackhat SEO or to distribute malware. Blackhat SEO hackers build pages, or edit existing pages, on your website that link to their own or client websites. Sometimes these pages will be about Viagra, other pharmaceuticals, or payday loans. Sometimes they’ll be about other subjects. depending on the client’s keywords and website. The hacked pages link back to the client’s or hacker’s websites, giving them a powerful dofollow link to help their SEO. The besieged host website is compromised, however, and can get blacklisted from Google. I’ve seen host websites so damaged they no longer functioned. In this case, the hackers changed the code so much the website no longer was visible or live, thus defeating their own purpose. Malware hackers use the website to distribute their viruses and malware. Unwitting visitors go to the website and get infected from the hacked sites. These infected sites eventually will get flagged by Google. They’ll also get blacklisted and lose their rankings if not fixed quickly. 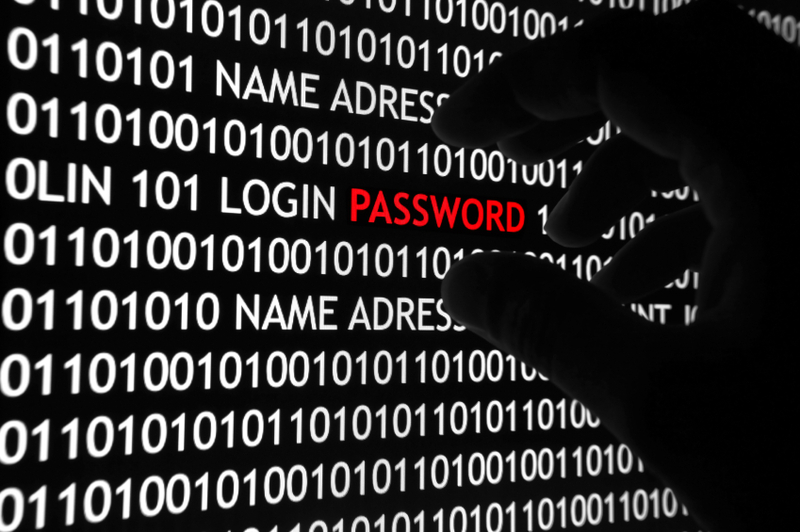 If you have a WordPress site you need to add some security plug-ins. Two good ones are Securi and BPS Security. If you are not WordPress you can still use Securi to monitor your site. Also with WordPress and for all websites make your ftp login and control panel passwords more difficult. On WordPress, I recommended that you change the default log-in from admin to something else. Don’t lose your log-in credentials or you might not be able to get back into your own site easily. 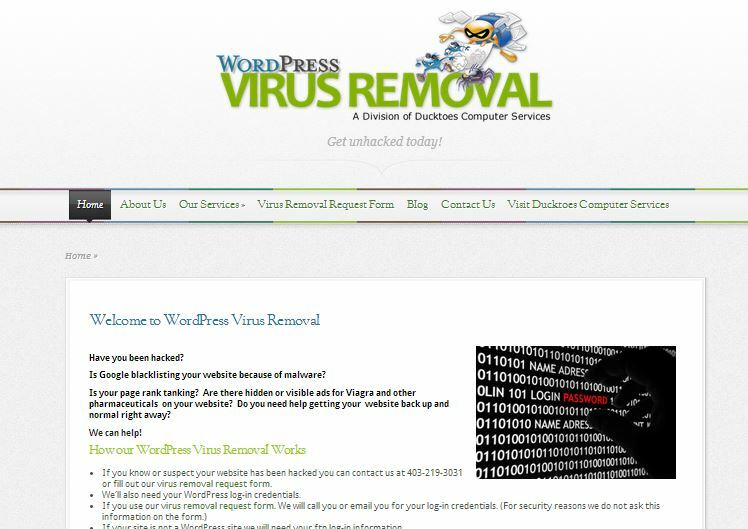 If you are already infected, Ducktoes has an effective Wordpress and website virus removal service to clean up your site. We will remove all the malware and hacked pages. We have done this for many sites already. If you like this post, please share on your favourite social media site below. We are starting a new service with a new site called WordPress Virus Removal. Too many sites are getting hacked and filled with malware so we decided we needed to help people with infected sites get the viruses removed. We are adding it to our computer repair services. We remove viruses from all kinds of sites and provide protection. Someone unauthorized tries to log-in or hack-in to my WordPress site several times a day everyday and also into one of my client’s sites. After noticing this, I have heightened security and configured the log-in to resist hacking. The hackers are trying to access my sites for their own ends: to put malware on it or use it as a blackhat SEO factory. They want to make extra, hidden pages with Viagra or payday loan ads or some other scheme. Whatever they are trying to do, I don’t want them anywhere close. Their changes would make a mess of my code and could get me blacklisted from Google. But it does happen all the time, WordPress and other websites get hacked into and infected with malware and viruses, then blacklisted by Google. Usually it’s a mess to clean up. We’ve done it several times now for small business sites and are now offering it as a new service. 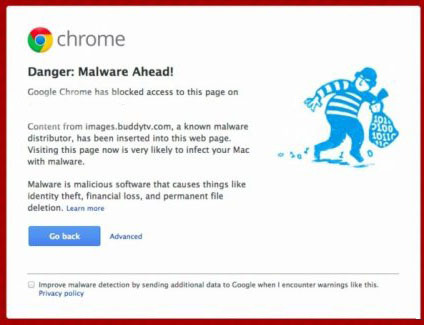 If your WordPress or other site is infected with Malware, we can remove the virus and clean up the code, then prevent it from happening again. Just contact us for our WordPress Virus Removal Services.